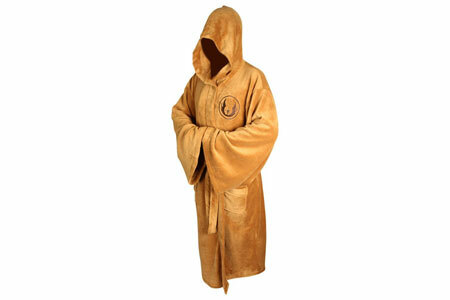 Do you have any of this bizarre Star Wars merchandise? Are you a Star Wars nut? Or know someone who is? 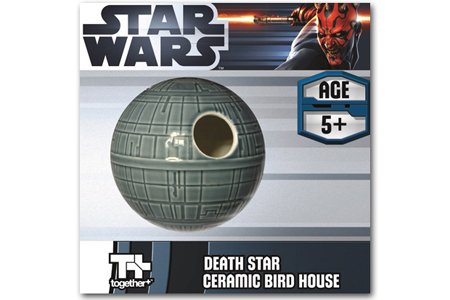 Why not fill their house with some of this amazing Star Wars tat that will bring The Force right home. Nothing says “Good Morning” than a life-supporting helmet designed to strike terror into the Rebel Alliance. 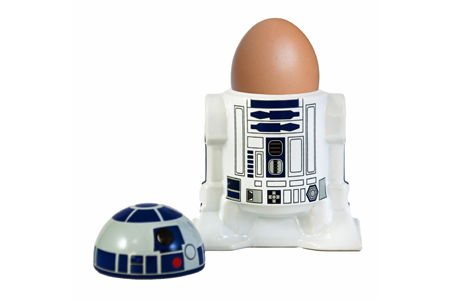 The mischievous chirping astromech droid can now help you with your tiresome boiled egg disassembling chores. What’s that Artoo? This egg is too runny? May The Force Be With You… after a nice hot bath. 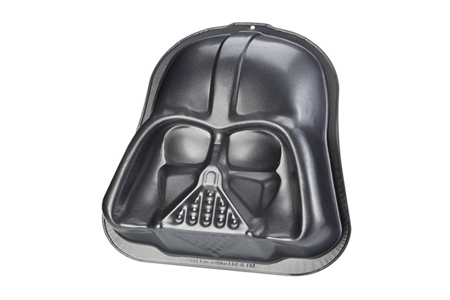 At some point, we’ve all been tempted by The Dark Side… or some nice cake. 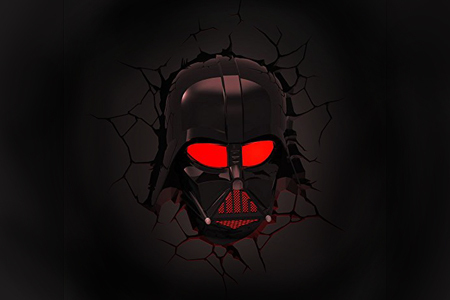 From the product description: “Provides a comforting light for children's bedrooms… Comes with awesome crack sticker to look like Darth Vader has smashed through the wall.” Guaranteed nightmares. 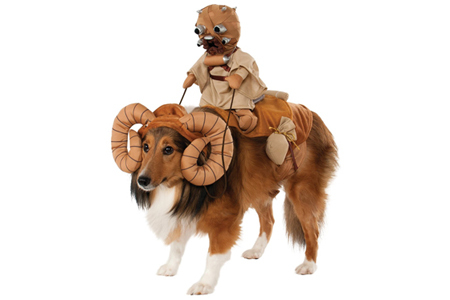 There are so many hilarious pet fancy dress costumes out there, but this is our favourite - a rendition of the Tusken Raiders and transport from Episode IV. “The sandpeople scare easily but they'll be back... And in greater numbers.” We’d love to see that. As far as a Wookie can “talk”, that is. 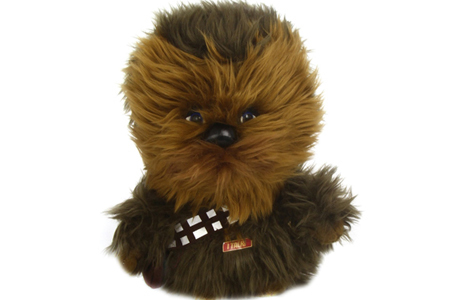 But if you want an adorable fluffy soft toy growling at every opportunity, this is for you. Graaawwwrl! A planet-sized battle station now becomes the winter refuge for our feathered friends. "Age 5+". Vent your frustrations about the evil yoke of the oppressive Empire by buying one of these pinatas for your next Star Wars party. 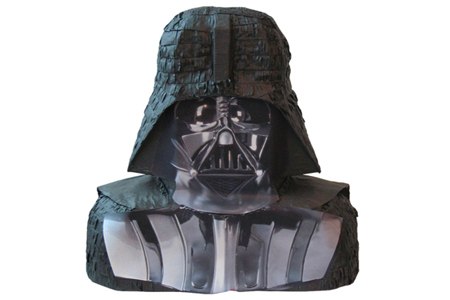 Fill Lord Vader’s head with sweeties, hang him from the ceiling and bash the heck out of him. Feels good! 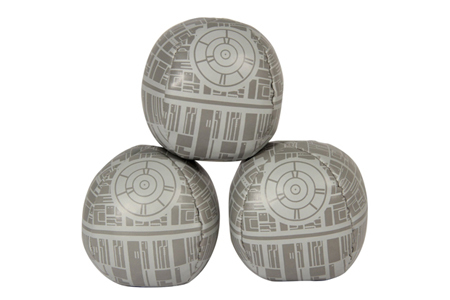 Or, how about this novelty version of the evil, planet-destroying monstrosity. 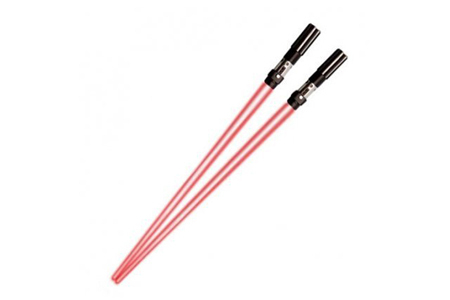 Not such a good present for any one with family on Alderaan. 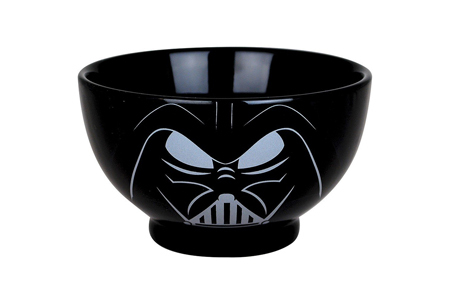 Bring the magic of George Lucas’s fantasy vision to the dinner table by scooping up your noodles with these handy acoutrements.